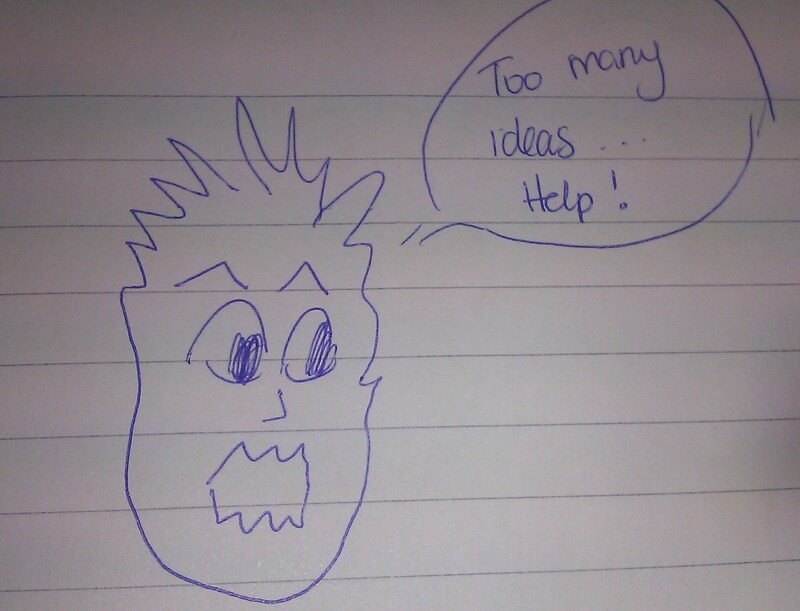 Can too much creativity kill…creativity? At first, this question may appear a tad silly. After all, don’t we, writers, want all the creativity we can get? Whatever the muse decides to throw our way? Because it may become the next great story. I do write these other ideas down briefly to make sure I don’t lose them but it is a bit frustrating to see my inspiration not going the way I want it to be. I find it more difficult to meet my daily writing goal. I am going through one of these moments where I believe that everything I write will need to be tossed away once I go through the editing stage because none of the ideas or the scenes are as good as the ones I cannot currently write. Luckily, nobody said it would be easy. I’m up to the challenge because deep down I know that my WIP is worth it…Plus I know now that after this one is done, I will still have inspiration to go on to another project. Thanks for entering the contest on my blog and good luck! May the randomness or random.org be with you 😉 Also, I’m subscribing to your blog too! I ❤ it. This is the same thing I am struggling with right now. I have hit a road block on my current WIP & instead of trying to bust through it I am spending time with 2 different writing ideas that have popped in my head since. I know if I don’t push through my current WIP I will end up bailing on those other story ideas once I hit a similar road block!! Keep a note book/diary, jot down the ideas/get a voice recording of the basic plot etc, however long they may be, but don’t let that become your focus. Give the ideas the time they deserve, they could, after all be your next big thing. When your ideas – however many there are – are written down, put them in a drawer or somewhere where they can be out of your mind, so you can focus more on the WIP you are doing at the time. I have a friend who talks about her need for “creativity birth control”, and she would definitely sympathize with you right now. I suffer from this somewhat less, but I still know what you mean. I think it’s good to be able to give your brain a break from one project, but it’s tricky to balance how much time to allow myself for the new ideas before I start going nowhere on anything. I’ll second the suggestion to keep these new ideas in a drawer or a notebook. Once I have my first burst of brainstorming for a new idea down on paper, it’s easier to go back to my WIP with more focus. Good luck! getting through to the end is so important… and so, so hard. You’re on the right track i reckon in jotting the other ideas down. Doesn’t make it any easier though. Here you go *doles out some sympathy*. I totally understand. I have finally reached the point where I know which direction my novel is headed, but in order to get there, I had to sort through subplot ideas of all shapes and sizes. Some of those ideas were really cool, and they helped me get to know my characters a lot better, but the vast majority of them were irrelevant to the story. I go through this too. Ideas breed other ideas, and they all seem so cool, and I want to jam them all in. But on my WIP, I’m trying to stick to my chapter outline and make all the extra ideas behave. I’m writing them down in a separate file, and telling myself that I can include them later, at the editing stage. I have no idea how it will turn out, but it’s much different from how I wrote my first novel, in which I was frequently distracted by new ideas! I totally understand trying to finish one story before beginning another. It’s hard to do though. I’m writing a novel and trying to get published, so it’s taking all of me to focus on this one drama. When I get a new idea, I jot notes down in different notebooks. That way each story has it’s own place, and when I have time to start my rough drafts, I’ll remember everything I was going for. I think most writers feel the same way you’re feeling, especially during the editing stage. I just finished a post about how I was excited about finishing my first draft but knew I had a LONG way to go before I could be truly proud of my story. If I could finish my draft (I’m a huge procrastinator), then I know you can too. To keep motivated, remember once you finish this WIP, you can move on to your next creative idea without feeling guilty.